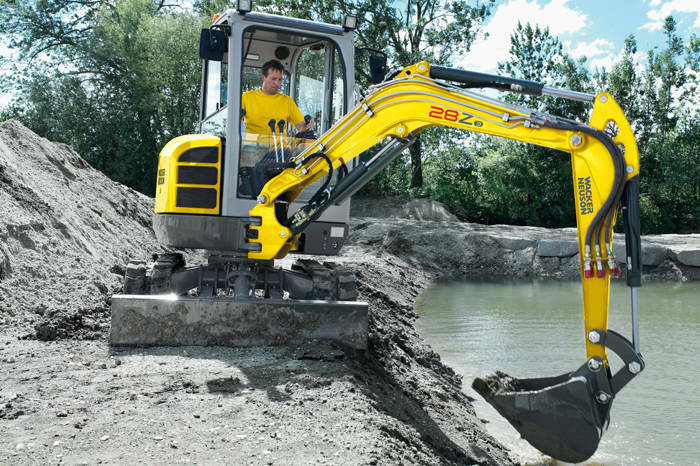 tailswing machine and the amazing productivity of Wacker Neuson’s Vertical Digging System. No tail swing and compact dimensions with laterally positioned engine and the valve control block, fuel tank and hydraulics oil tank in the rear. Spacious driver’s cab with large door: Everything is designed for optimum practical advantage and working conditions. 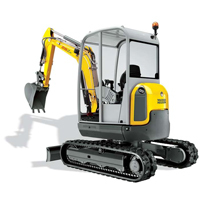 Comprehensive standard equipment and various individual options for additional facilities: Standard double-action auxiliary hydraulic system and an added depressurized return line for the operation of the hydraulic hammer. The transport pro: Weighing less than 2.7 t in total the machine can be transported on a passenger car trailer (subject to national restrictions), thus opening up additional areas of operation.